Even President Recep Tayyip Erdogan's critics praised him when, after 40,000 lives lost in a bloody conflict, he bravely launched a difficult process that would finally bring peace to a country that suffered much from ethnic strife. His government would negotiate peace with the Kurds and grant them broad cultural and political rights, which his predecessors did not. The Kurdistan Workers' Party (PKK), the Kurds' armed group, would finally say farewell to arms. Erdogan (and the Kurdish leaders) would then be nominated for the Nobel Peace Prize. But now Turkey is in flames again; the country smells of death. Dozens of members of the security forces, as well as civilians, have been killed in clashes in just the two weeks after an Islamic State suicide bomber murdered 32 pro-Kurdish activists in a small Turkish town on the Syrian border on July 20. Several hundred people were injured and more than a thousand were detained by the police. Turkey's cities are again a battleground in the nearly century-old Turkish-Kurdish dispute. Turkish cities have once again become a battleground in an almost century-old Turkish-Kurdish dispute: Kurdish militants attack security forces on a daily basis, while the Turkish military buries its fallen soldiers and strikes Kurdish guerrilla camps in northern Iraq. What happened to the Turkish-Kurdish ceasefire and the prospect of sustainable peace? Speaking at a conference in Jakarta on July 31, Erdogan unsurprisingly said: "We have only one concern. It is Islam, Islam and Islam. It is impossible for us to accept the overshadowing of Islam." Erdogan (mis)calculated that he could use Islam as a glue keeping Turks and Kurds in unity. In the same vein, Erdogan's prime minister, Ahmet Davutoglu said in a 2014 interview: "In Turkey's periphery you cannot explain anything without the religion factor." Erdogan (mis)calculated that he could successfully use Islam as a glue keeping Muslim Turks and Muslim Kurds in unity. Why should they be fighting? After all, they are both Sunni Muslims. He thought he could convince the Kurds to surrender their arms and live happily ever after with their Turkish Muslim brothers. For a historic end to the conflict, Islam had to take a central role. Erdogan would therefore restructure Turkey along multi-ethnic lines but a greater role for Islam would be the cement keeping the nation united. Once again, Erdogan, an Islamist, relied too much on religion in resolving what is essentially an ethnic (not religious) conflict. Erdogan was not an honest negotiator from the beginning. His counterparts in the PKK leadership were smart enough not to trust him. They agreed to a ceasefire in 2013, but have never really buried their arms since then, thinking that they would one day need them. Erdogan's real intention was to keep the PKK inactive, away from bombings and other acts of terror, and therefore minimize the risk of losing votes as the masses turn angry at his government in the face of the tragic loss of human life. Prolonged negotiations with the Kurds would give him enough peaceful time to win one local election (March 2014), one presidential election (August 2014) and one parliamentary election (June 2015). If afterwards there is peace, that would be fine. If not, the Kurds could go to hell, with the next election scheduled for 2019. In other words, he pretended to negotiate in order to buy time and delay any renewed wave of violence. It is true that Erdogan's governments granted Turkey's Kurds far more than any other Turkish government did in the past. In 2009, the state broadcaster launched the country's first TV channel in Kurdish. A new electoral law allowed, for the first time, campaigning in Kurdish. Universities and private courses could now teach the Kurdish language. The use of letters like q, w, x, which are necessary for Kurdish Romanization, would no longer be prohibited. Kurdish also would be allowed in courtrooms and at prisons when families visited inmates (previously the language was forbidden). Erdogan granted Turkey's Kurds far more than any government in the past. 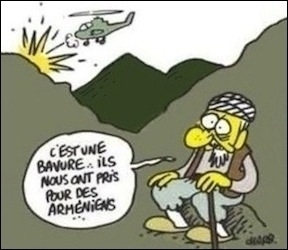 All of that was nice, but not enough to win Kurdish sympathies for peace. The Kurds simply wanted autonomy in Turkey's southeast, where they are in the majority. They wanted to have their own police force, elected governors and budgetary control. They wanted two more things: Official (constitutional) recognition of their ethnicity as co-founders of the Turkish Republic; and the introduction of Kurdish language in school curricula. Erdogan accurately calculated that granting the Kurds relatively minor rights would keep them his loyal voters, and away from arms. He knew that the Kurds would want more. But he also knew that granting the Kurds what they actually want would be political suicide in a notoriously nationalist country. Even to this day, the Kurdish demands remain a taboo for most Turks. Speaking of Kurdish education in schools or Kurdish ethnic identity as part of the constitution could earn anyone a nasty label: Traitor! But Kurds have more self-confidence today than a decade or two ago. Their next of kin in Iraq have a functioning autonomous administration that is waiting for the right time officially to split from the central government in Baghdad. Syrian Kurds are trying to unite a Kurdish strip of cantons along the Turkish border. The PKK has proven that it did not lose its firepower during the ceasefire. And more importantly, the Kurdish vote in Turkey has dramatically risen from a mere 5.24% of the total in 2007 (cast for independent candidates) to 13.1% in 2015, when the Peoples' Democratic Party overcame the 10% threshold needed to enter parliament, the first Kurdish party to do so. Today, in another first, the Kurds have exactly the same number of seats (80) in the Turkish parliament as the Nationalist Movement Party (MHP). Erdogan's "Kurdish gambit" worked, to a certain extent, when the ceasefire helped him maintain his popularity. Now, it seems, it's payback time.